Hosting a crowd for the big game? This easy Italian Party Sub recipe can be made ahead of time and is always a crowd-pleaser! Keep your menu simple the next time you host a casual party. 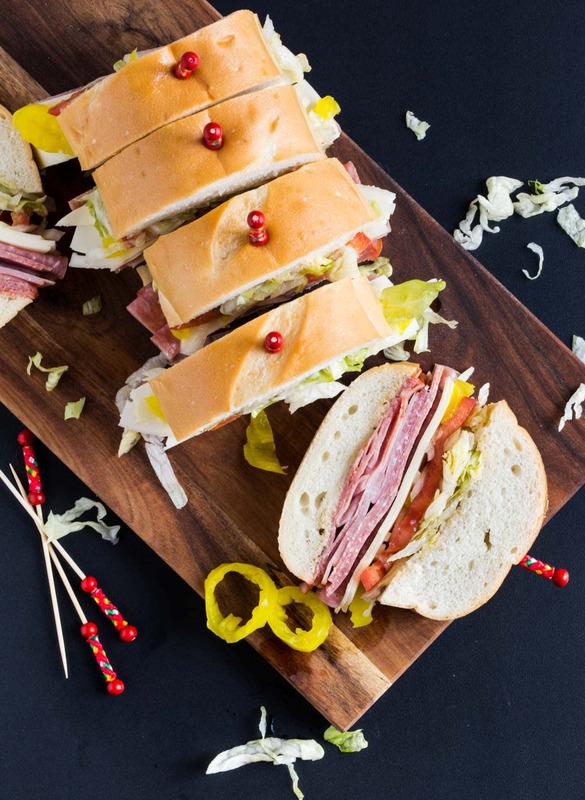 This Italian Party Sub recipe – with three meats, provolone cheese and a red wine vinaigrette – never fails to impress but couldn’t be simpler to pull together. 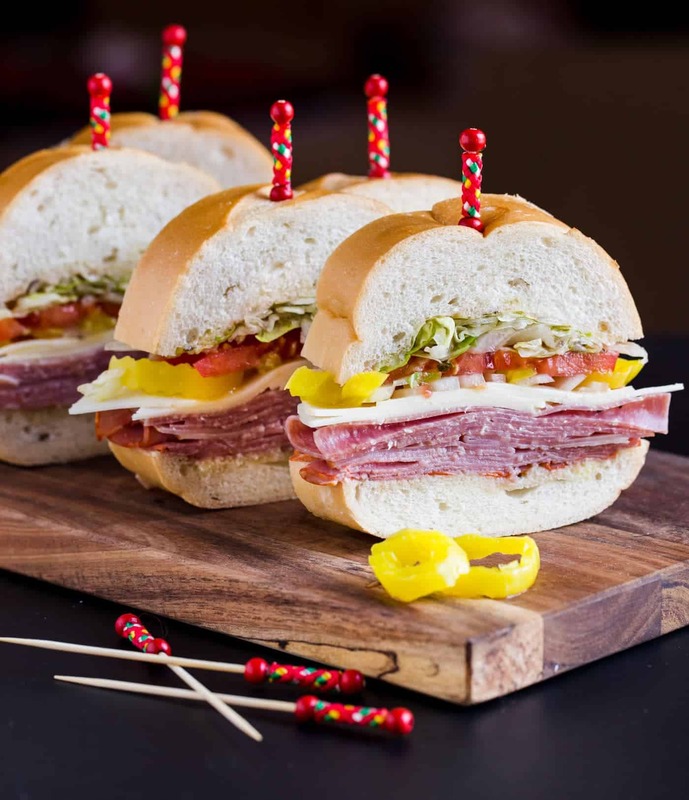 There really are no rights or wrongs with this Italian Party Sub recipe. Love your Italian meats? Go heavy on the salami or capicola, Any cheese fans in your house? Add an extra layer of provolone or mozzarella. I adore the tangy sweetness of banana peppers, but feel free to add other pickled veggie that you prefer. Just don’t skip the red wine vinaigrette; it really brings the sandwich together. Tip: You can make this sandwich up to two hours ahead of time. Simply wrap tightly and refrigerate until ready to slice and serve. P.S. This Italian Party Sub makes a great easy weeknight dinner, too! Make half of the recipe for a smaller family. Drizzle vinaigrette over both cut sides of bread. (You may have some vinaigrette left over that you can toss with the shredded lettuce, if desired.) Layer meats, cheese, onions, banana peppers, tomatoes and lettuce on bottom half of bread. Top with other half of bread loaf. Secure with toothpicks or small skewers and slice into pieces. Making this sub ahead of time? Tightly wrap the whole sub and refrigerate. Slice just before serving.